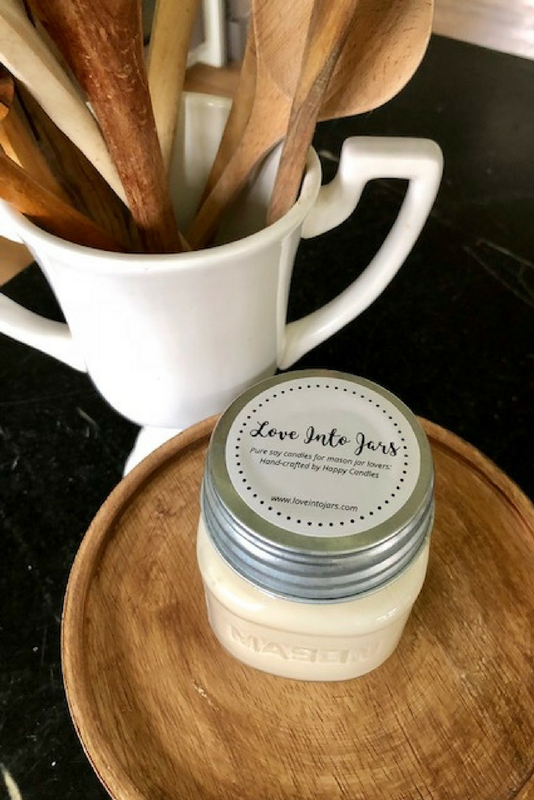 That’s why I worked really hard with my friend Erin of Happy Candles to bring you a mason jar giftable that is beautiful, hand-poured, delightfully scented, and reminnicent of years gone by with the zinc topped lid and classic mason jar design. I wanted to create something that you can share with others that is canning…that’s not quite canning. Mason jars are a gateway drug to canning, and I’m all about bringing canning to everyone! I met my friend Erin while demonstrating canning applesauce at the Portland, Oregon Williams Sonoma store. We became pals and stayed in touch via Instagram. She was busy building her handmade candle business and I was busy building my canning courses. 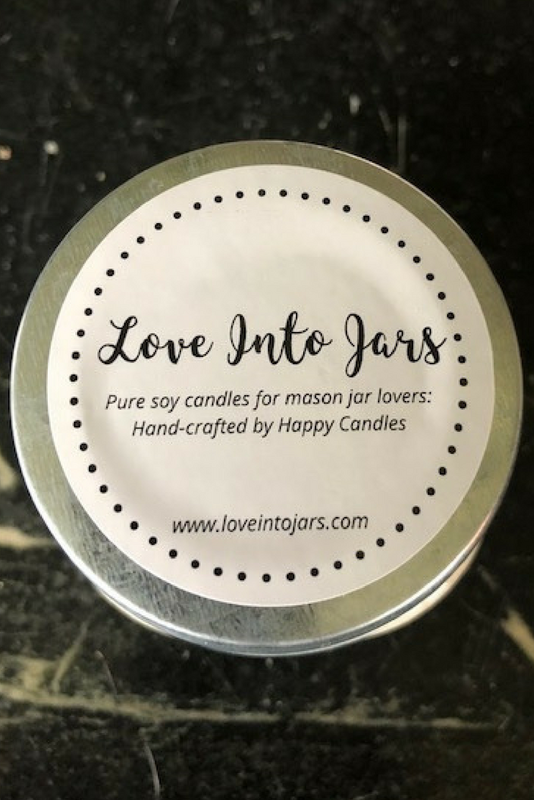 She was my first choice when I realized I needed a treasure that you Love Into Jars fans could share with others and bring into your home and I’m so pleased she was able to collaborate with me. The Love Into Jars candles are hand-poured in the beautiful Pacific Northwest, and contain no toxic, allergy-triggering paraffin. 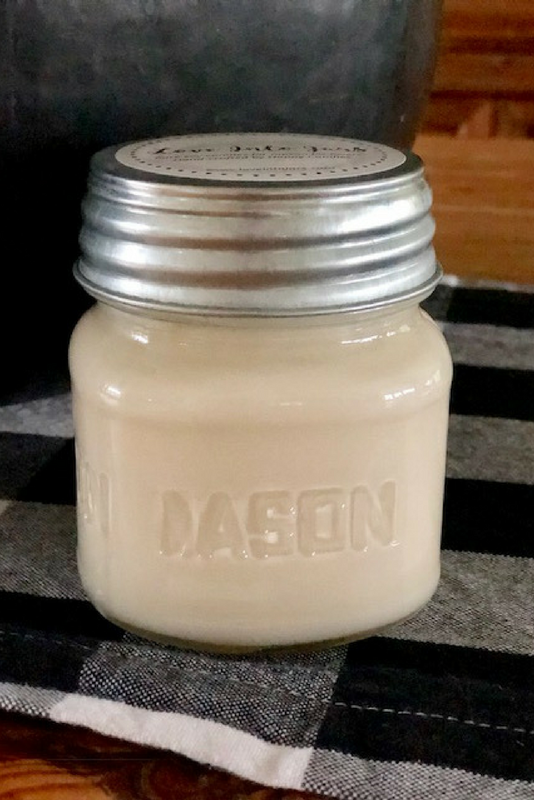 These soy candles are clean burning and the scent is called Happy for good reason. It’s a familiar scent at any Anthropology store, with the blends of tropical fruit and sugared citrus including oranges, lemon and lime as well as a hint of violet leaf, sweet Japanese quince, sun ripened cassis, sparkling pomelo, sun weathered driftwood and lightly mountain greens. I can’t say for sure that this will be our last candle that we collaborate on (in fact, Erin and I are already chatting about scent #2!) but I’m so HAPPY it is our first! 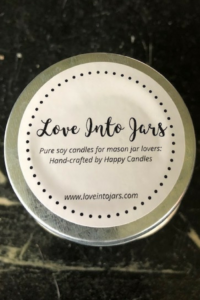 When you place your order, you’ll be ordering directly from Erin’s Happy Candle online store so that the candle gets shipped straightaway from her workshop. 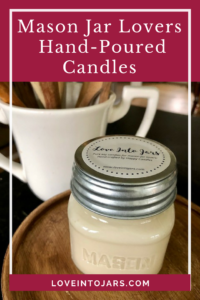 Thank you so much for your support; I know you will love these candles and if you aren’t able to make a purchase today, I’d love it if you’d pin this blog post to Pinterest. That helps us out exponentially!